San Jose, California – December 21, 2017. Key Housing, the industry leaders in short term, corporate, and so-called “serviced apartments” in Northern California, is proud to announce EPIC furnished apartments has been selected as the featured property for January 2018 in the Northern California region. The San Jose serviced apartments have been chosen to represent the best in Bay Area short-term employee housing. Europeans on holiday and business travelers may need to plan ahead to book one of the best Silicon Valley serviced apartments for the New Year. Based in Folsom, California, Key Housing Connections Inc. specializes in corporate housing and corporate housing in large cities like San Francisco, Los Angeles or San Jose as well as smaller cities like Sacramento, Culver City and Walnut Creek. Key Housing is a leader in affordable, friendly, short-term and corporate housing in places like Capitola, Santa Barbara, Hermosa Beach and just about every city in California. 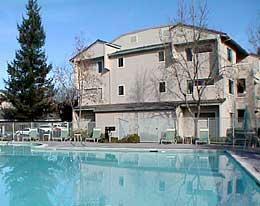 Europeans searching for San Jose serviced apartments may find a list of choices. Whether it’s serviced apartments or a furnished rental, just search, click or call today! This entry was posted in Press Releases and tagged San Jose Corporate Housing, San Jose Serviced Apartments, San Jose Short Term Rental on December 21, 2017 by Lee McDonald.